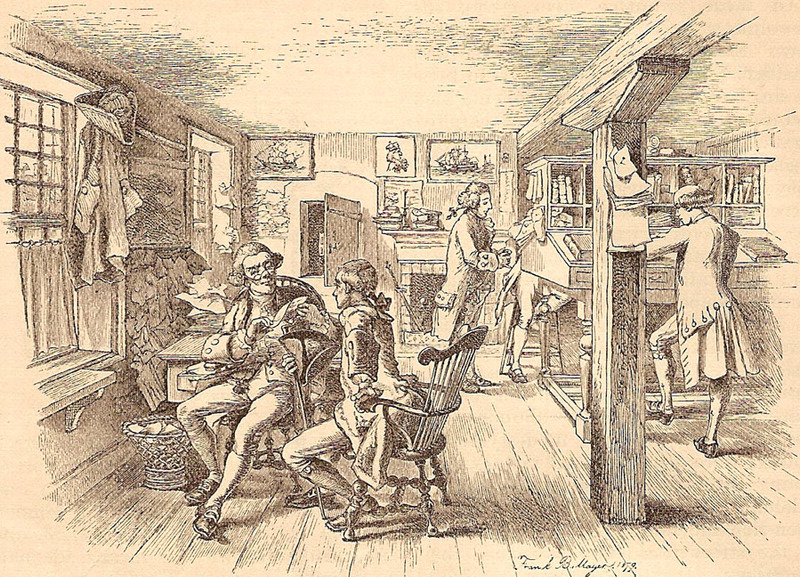 "An Old-Time Counting Room," Fell's Point, Baltimore, MD, c. 1770; drawing dated 1879. "In sight of his ships and his goods, on the ground-floor of his warehouse usually, the old-time merchant had his counting-room. It was separated by a slight partition from the surrounding mass of merchandise. 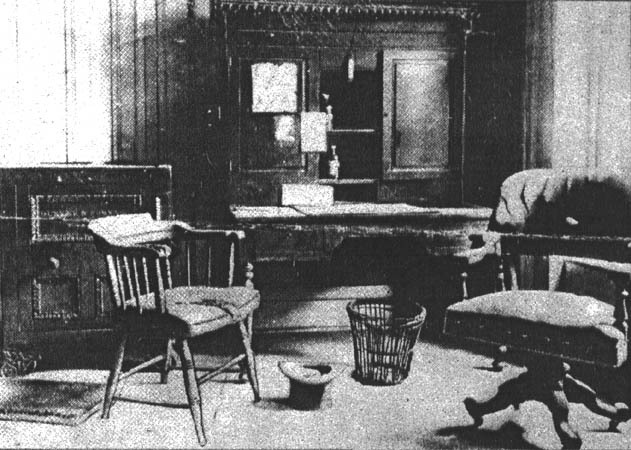 None of the elegance of modern counting-rooms graced the interior. In harmony with the rude beams, an arch of solid masonry supported the safe, built into the walls, and closed by its iron door with a lock to make a modern burglar laugh. From an armchair, as from a throne, the 'head of the house' surveyed a row of deferential clerks at their high desks, almost buried behind their ponderous ledgers. Innumerable bills, ruthlessly impaled on wires, met a deserved fate. Rows of tin or wooden coffers, marked with the names of dead years, rested in dusty security on a high shelf, and suggested long-passed transactions." 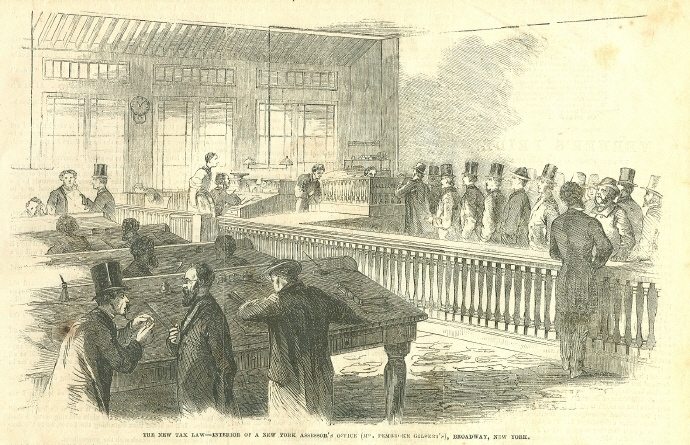 Referring to the clerks, the article continues: "These youths, whom it was a favor to admit to a great commercial house, were in training as the future merchants and as gentlemen." "Old Baltimore and Its Merchants," Harper's New Monthly Magazine, Nov. 1880. Merchant's counting house. Boorum & Pease Co., The Story of a Century, 1842-1942, Brooklyn, NY, 1942. Boorum & Pease, which is still in business, was founded in 1842 as a maker of blank books and ledgers. 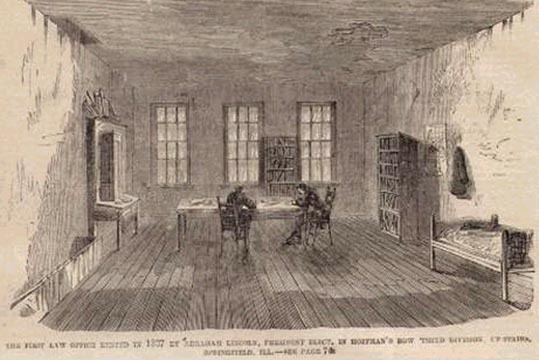 "Secret Office, at the General Post Office," London, England, 1844. Letters were opened and re-sealed in the Secret Office under the authority of the Secretary of State for the Home Department. The Secret Office "is also used as the Money-Order Office. 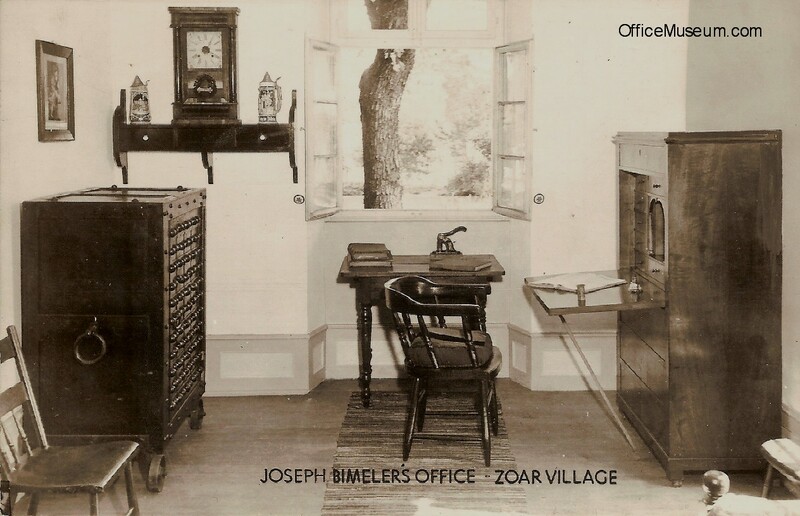 The ordinary business transacted in the room is the keeping of the accounts connected with the order department, and the franking, &c., of official communications." Illustrated London News, June 29, 1844. 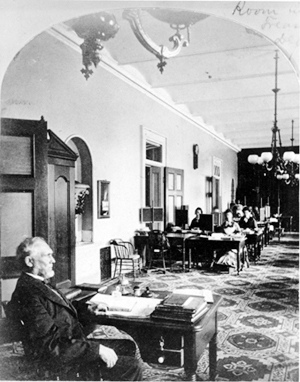 Immediately below is an image of the Magazine Corner of the general office. 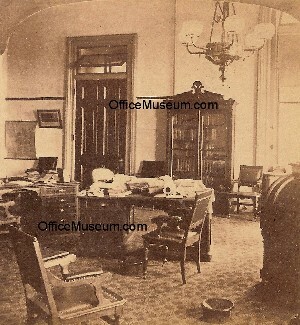 Below that is the floor plan of the general office, which was the only office room in the building. Jacob Abbot, The Harper Establishment, or, How the Story Books are Made, Harper & Brothers, New York, NY, 1855. Courtesy of Pat Pflieger, Nineteenth-Century American Children & What They Read. Pflieger's web site is spectacular! 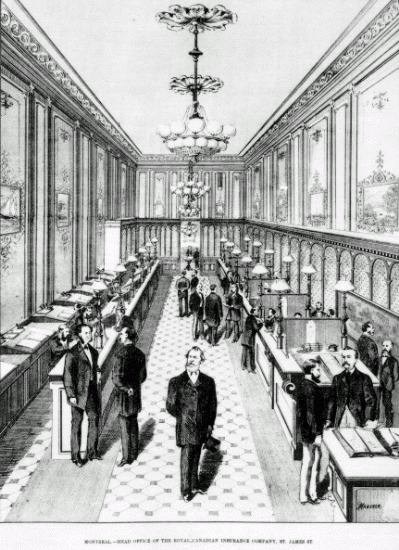 Magazine Corner, General Office, Harper & Brothers, New York, NY, 1855. See image above. 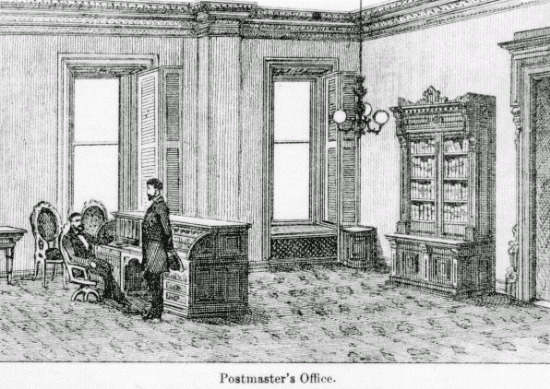 "The Magazine Corner, which was also located in the great office, was "appropriated to the work of mailing periodicals. The great business at this place is, of course, the mailing of the subscribers' copies of the Magazine. A portion of the edition of the Magazine, and also of the Story Books, are sent off in bales and boxes to booksellers and agents, who take them in quantities. Others are sent to individual subscribers by mail. The office shown in the engraving, which is situated on the back part of the great room in the Franklin Square building that contains the counting room, is the place where these copies are addressed, and then mailed in bags sent from the Post-office to receive them. Here, too, all the accounts are kept both of the Story Books and the Magazine." (Abbot 1855) Jacob Abbot, The Harper Establishment, or, How the Story Books are Made, Harper & Brothers, New York, NY, 1855. Courtesy of Pat Pflieger, Nineteenth-Century American Children & What They Read. Floor Plan, General Office, Harper & Brothers, New York, NY, 1855. See two images above. The floor plan shows the Counting-Room at the top and the Magazine Corner (M) at the bottom. "Toward the centre of the apartment, is the area marked C, which is appropriated to the city trade. 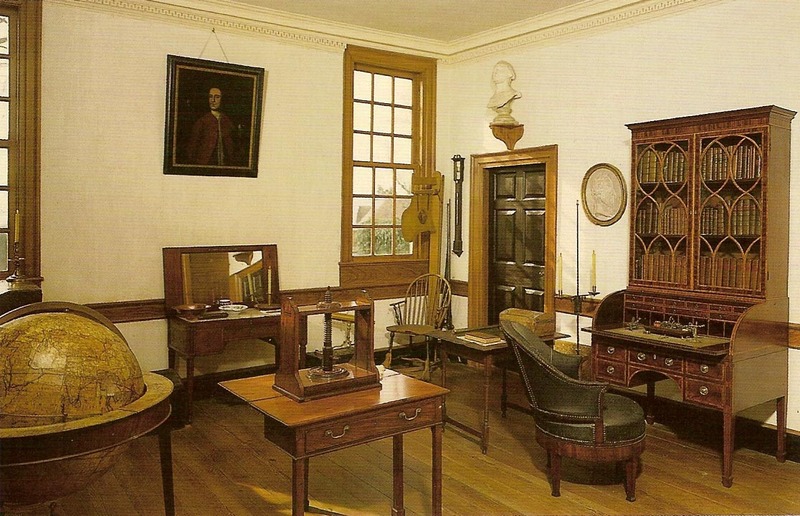 The area is partially inclosed by desks, safes, counters or cases for the exhibition of samples of books, and other similar furniture. 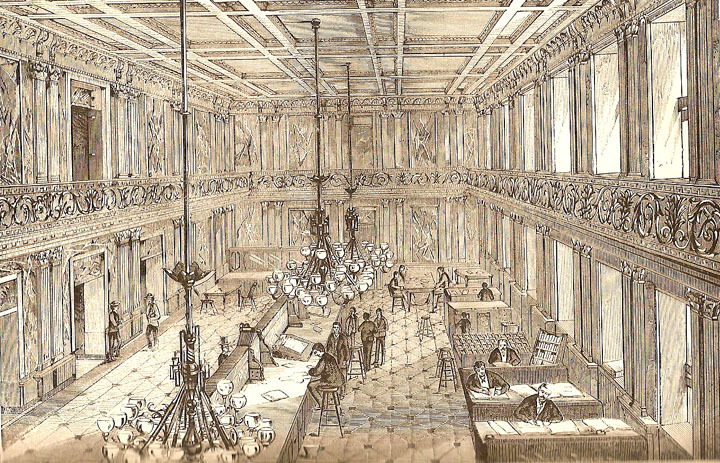 At the back side of the room [the bottom of the floor plan], near the centre, is the area marked F, devoted to the business of receiving and answering foreign orders. Here are large tables for assembling and packing books, and desks for keeping the accounts, and trucks for drawing away the boxes and packages, when they are made up." (Abbot 1855) Jacob Abbot, The Harper Establishment, or, How the Story Books are Made, Harper & Brothers, New York, NY, 1855. Courtesy of Pat Pflieger, Nineteenth-Century American Children & What They Read. 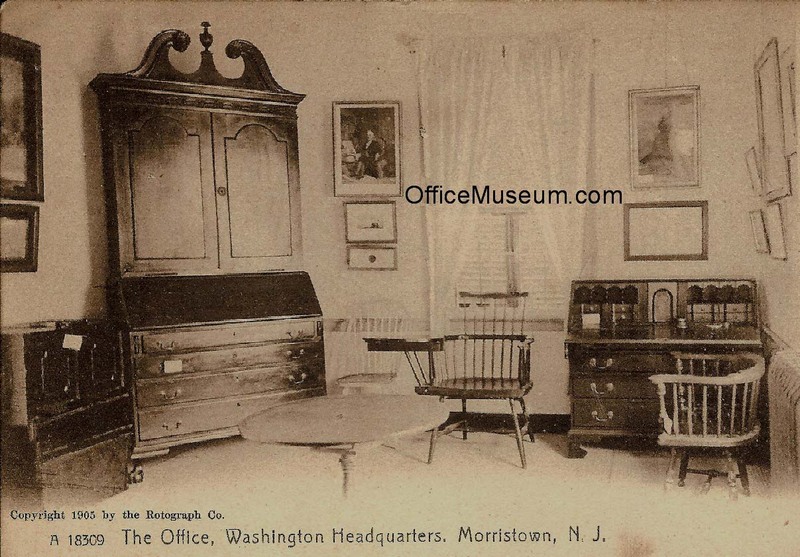 Main Office, Western Union Telegraph Co., Rochester, N.Y., c. 1856. This photo was taken not long after Western Union was formed by consolidation of numerous separate telegraph lines in 1856. This room was later reconstructed at the Rochester Museum & Science Center. You can read about the reconstruction and see a photograph by clicking here. 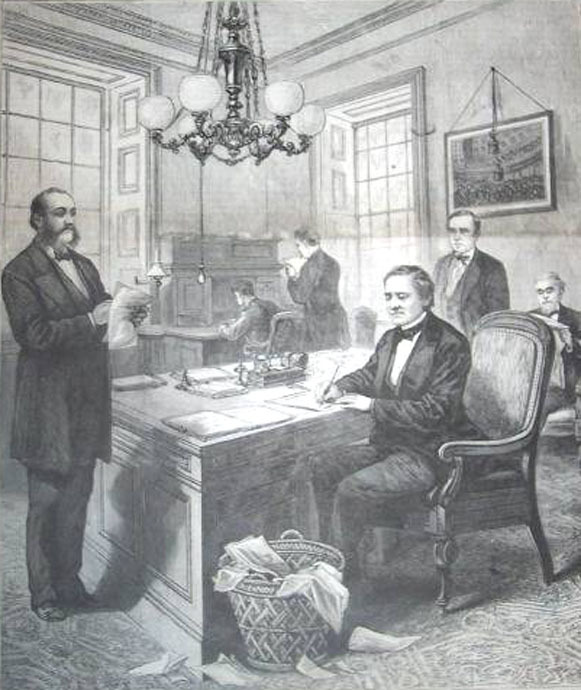 Western Union Telegraph Co.
"The New Tax Law--Interior of a New York Assessor's Office, Broadway, New York," 1862. Frank Leslie's Illustrated Newspaper, Nov. 1, 1862. 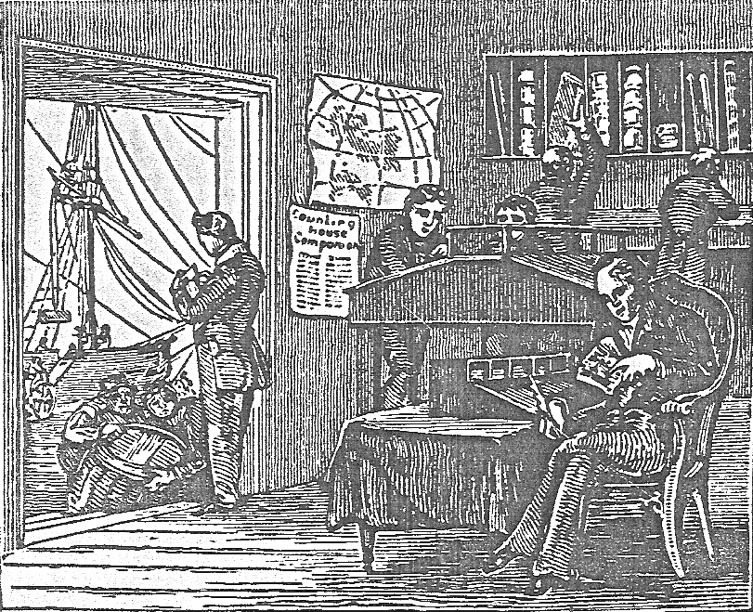 "Interior of Chief Detective Col. Baker's office, opposite Willard's Hotel, Washington, D.C. Col. Baker laying down the plan of Booth's capture to his chief subordinates," wood engraving after W.T. Crane, 1865. Frank Leslie's Illustrated Newspaper, May 20, 1865, p. 133. 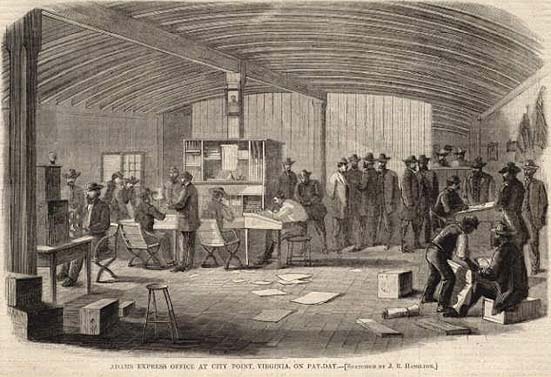 Library of Congress, Prints and Photographs Division, Washington, D.C.
"Counting-Room, Oneida Community," Oneida, NY, 1870. Courtesy of Oneida Community Collection, Special Collections Research Center, Syracuse Univ. Library, and Oneida Community Mansion House, Oneida, NY. John B. Ellis, Free Love and Its Votaries: or, American Socialism Unmasked, United States Publishing, New York, NY, 1870. 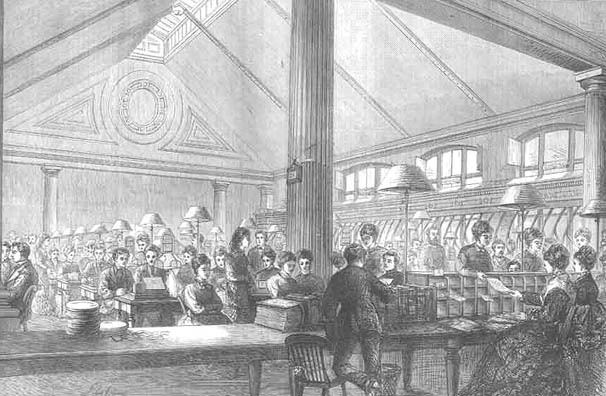 "The Accountants' Bank Note Office," Bank of England, London, England, 1870. The Graphic, Nov. 16, 1870. 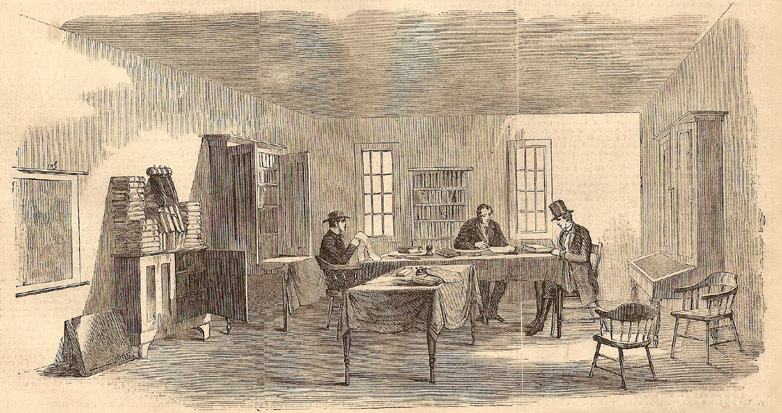 "A Kansas Land Office," engraving, 1874. 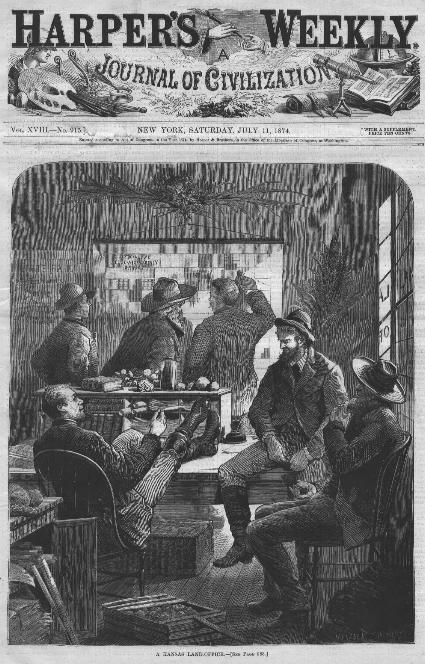 Harper's Weekly, July 11, 1874. "Head Office of the Royal Canadian Insurance Company. St. James St.," Montreal, PQ, by Eugene Haberer, 1874. Canadian Illustrated News, X(25) 393, reproduced from National Library of Canada. 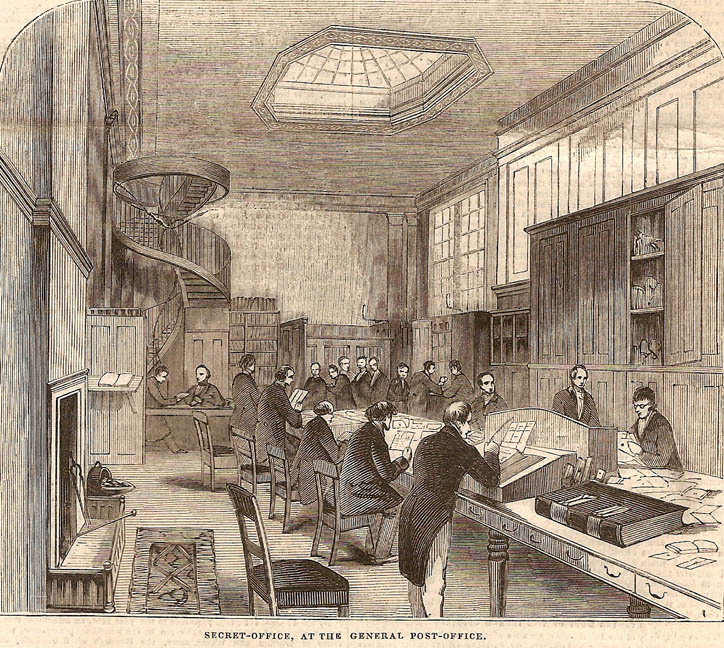 Central Telegraph Office, London, England, 1874. Illustrated London News, Dec. 12, 1874. "Governor Samuel J. Tilden of New York Transacting Business, Executive Chamber, Albany," NY, 1875. 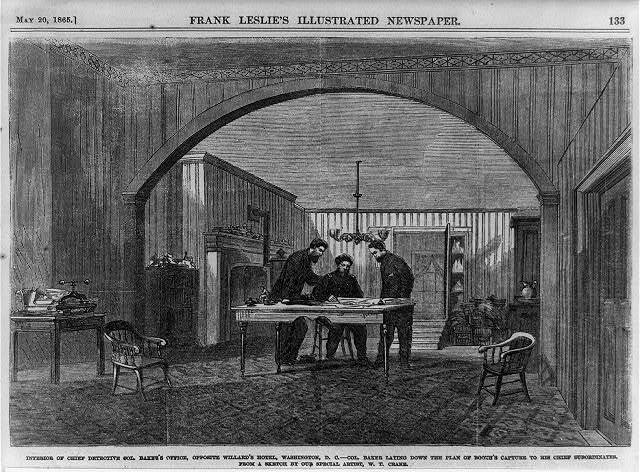 Frank Leslie's Illustrated Newspaper, Feb. 20, 1875. 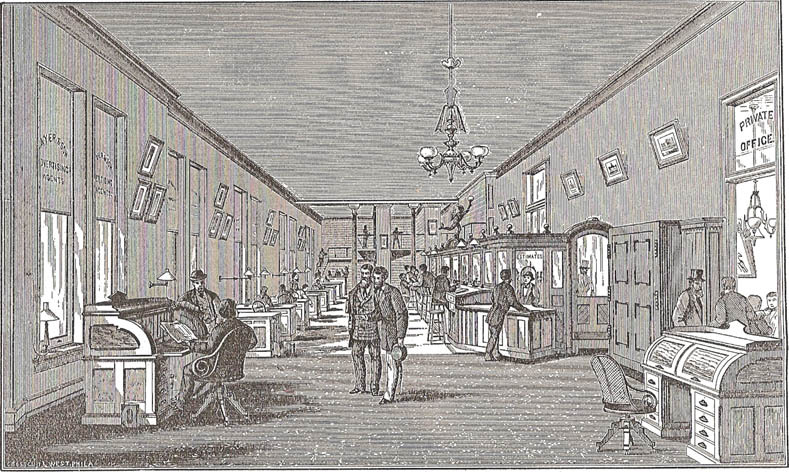 General Operating Department, Western Union Telegraph Building, New York, NY, c. 1875. 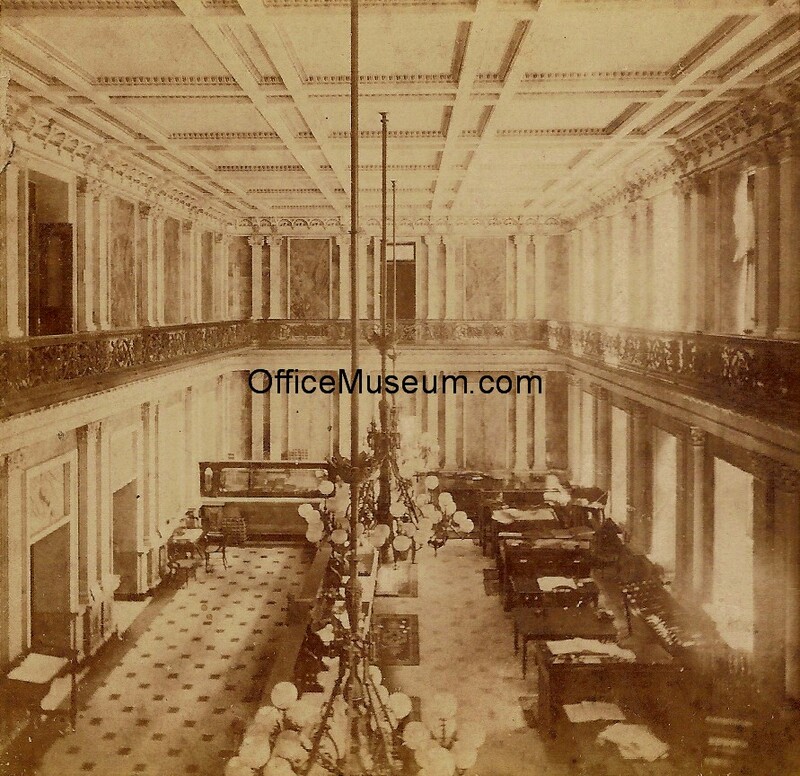 Library of Congress, Prints and Photographs Division, Washington, D.C.
"Postmaster's Office," Interior Views in the New Post Office, Montreal, PQ, by Eugene Haberer, 1876. Canadian Illustrated News, XIV(20) 313, reproduced from National Library of Canada. 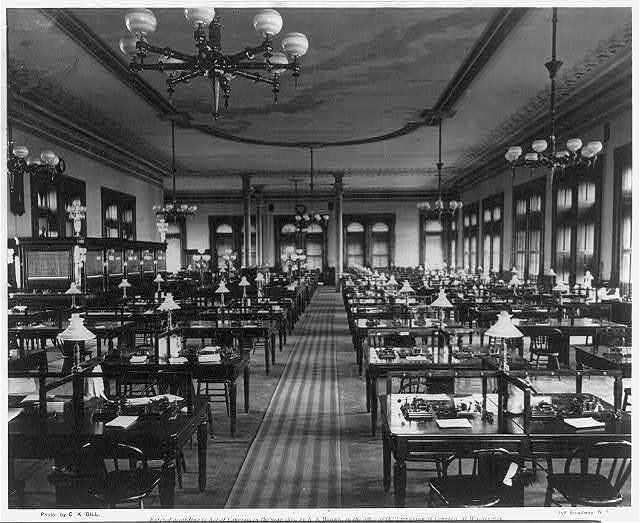 Business office, Dun, Barlow & Co., New York, NY, 1876. Mercantile agencies were credit reporting services. They evaluated the credit-worthiness of businesses that were potential borrowers. 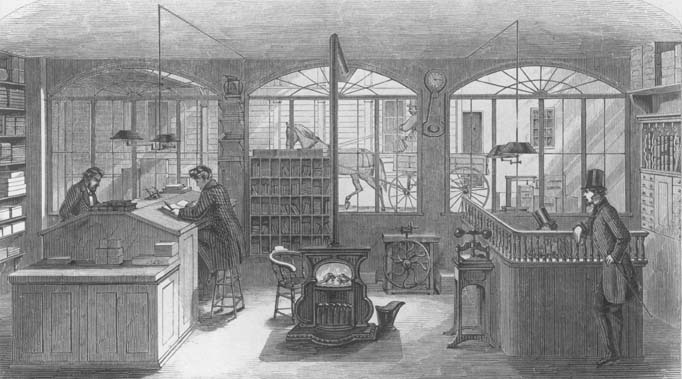 The revenues of mercantile agencies were derived mainly from annual subscriptions purchased by merchants and firms that gave credit and made loans. Founded as the Mercantile Agency in 1841, R. G. Dun & Co. was the leading U.S. credit reporting agency during the second half of the 19th century. The company also provided other types of commercial information to subscribers. 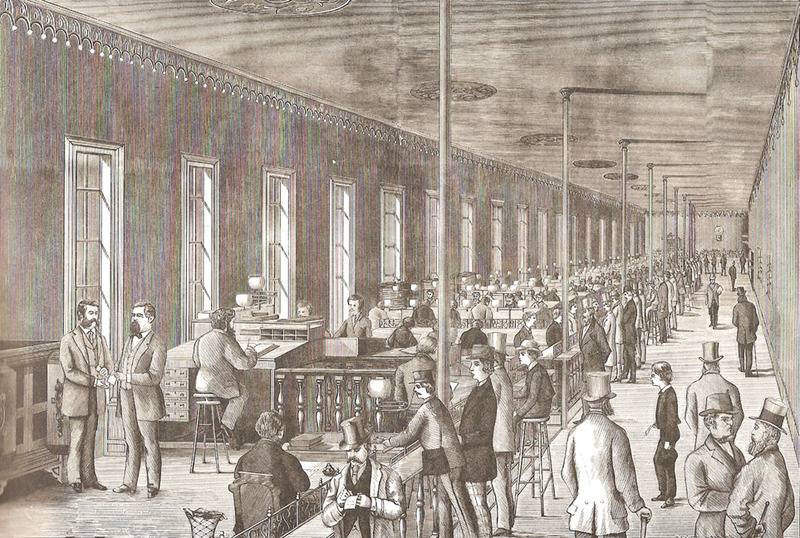 From approximately 1860 to approximately 1880, when Charles Barlow was R. G. Dun's partner, the company was known as Dun, Barlow & Co. Asher & Adams, Pictorial Album of American Industry, 1876. 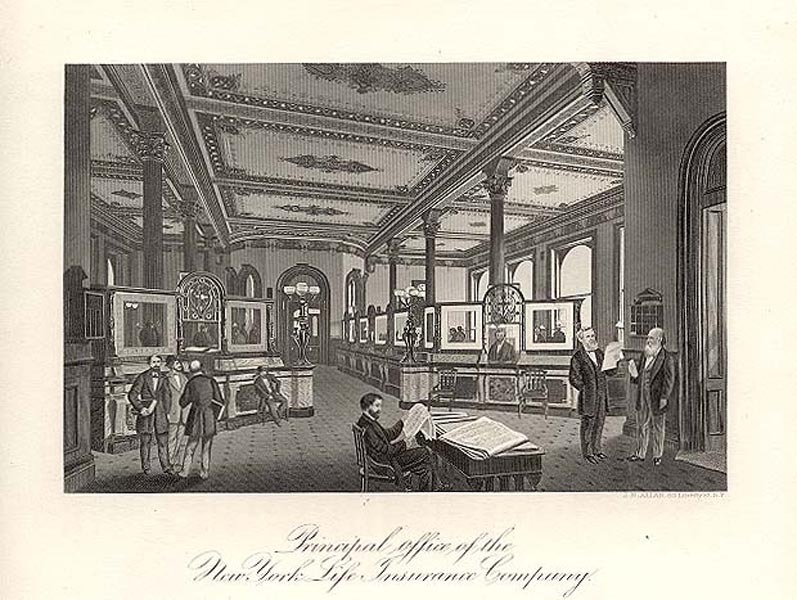 "Principal Office of the New York Life Insurance Company," engraving by J. N. Allan, 1876. Benson John Lossing, The American Centenary, Philadelphia, 1876. 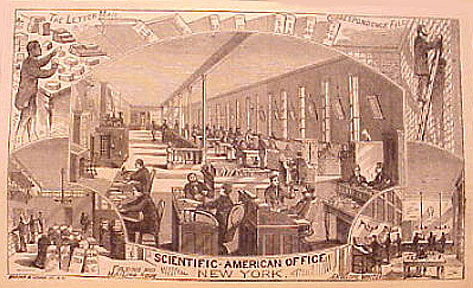 Scientific American Office, New York, NY, 1876. The Scientific American Reference Book, Munn & Co., NY, NY, 1876. 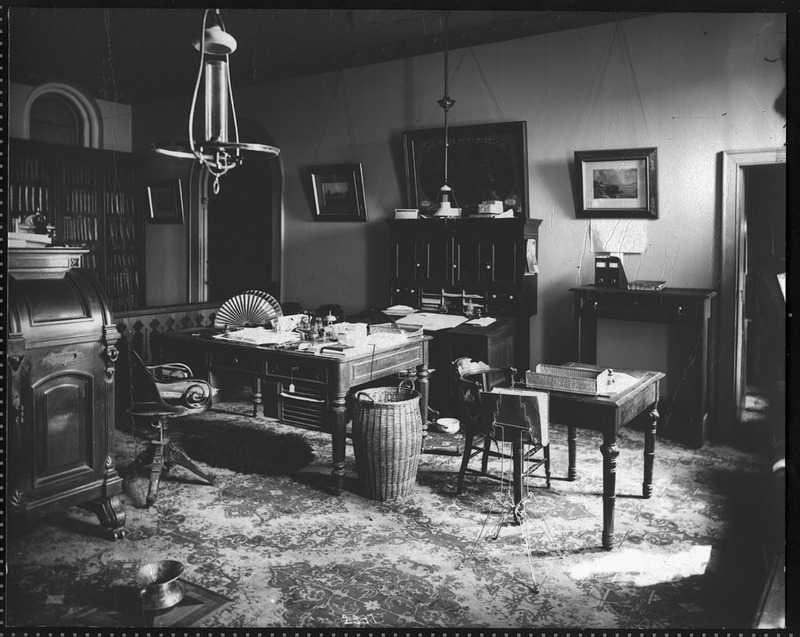 "Interior of the Scientific American Office," New York, NY, 1877. The Scientific American Reference Book, Munn & Co., NY, NY, 1877.